I’m often the go-to person for friends looking for multicultural children’s book recommendations. 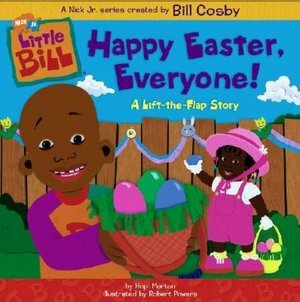 But when a buddy asked me recently for suggestions of Easter-themed books that feature African-American characters, I was stumped. Thankfully, help was just a click away. 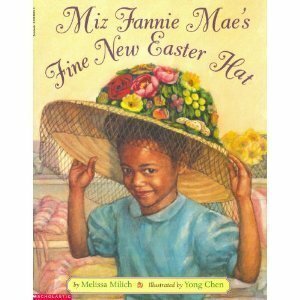 Through online searches and suggestions from my FaceBook friend, Kathleen T. Horning of the Cooperative Children’s Book Center, I found a few books with Easter themes that feature African-American characters and/or were written by African-American authors. KT Horning also let me know that Marian Anderson’s famous concert at the Lincoln Memorial happened on an Easter Sunday. She mentioned When Marian Sang and Sweet Land of Liberty as two books about that historic time. “Sometimes you’ve gotta get creative,” she said. Amen to that :). The list I shared with my friend is below. Sadly, some of the books are out of print. But you can still purchase them at used book sites or check them out from many libraries. Please add any others you know in the comments. Thanks so much. 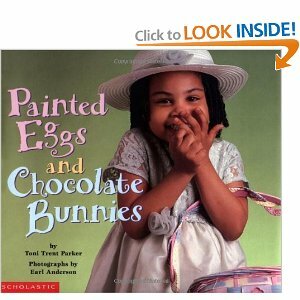 Painted Eggs and Chocolate Bunnies by Toni Trent Parker with photographs by Earl Anderson. Thank you for putting together this wonderful list. I have put a copy in a file, on my calendar for Easter next year and made sure our staff member who works on multicultural book collections is aware of the list. Thanks again! Tracey, Thanks so much for stopping by. Appreciate your kind comment. Thank you, Carol! That’s awesome. Appreciate all you do. 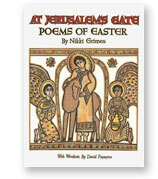 I have been searching for a book for my 2 young grandchildren about the meaning of Easter and the illustrations in every book are of whites. That makes it difficult to teach young children that Jesus died for them too if that’s all they see.